The performances will be part of the All Hail The Queens celebration. Missy Elliot was already to going to be honored during the VH1 Hip Hop Honors: All Hail the Queens extravaganza and now a giant tribute has been announced by the station. Pharrell, Timbaland, Nelly Furtado, Remy Ma, Trina, Eve, Tweet, Monica, Keyshia Cole, Jazmine Sullivan, Raven Symone, and Fantasia are all slated to appear to pay tribute to Missy. 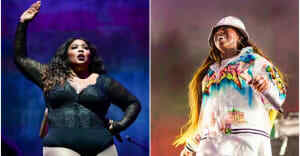 Along with Missy, the program will be honoring Queen Latifah, Lil Kim, and Salt-n-Pepa featuring DJ Spinderella. Eve will host the proceedings which go down at the Lincoln Center in New York City. The Honors will air on VH1 July 11 at 9 P.M. EST.